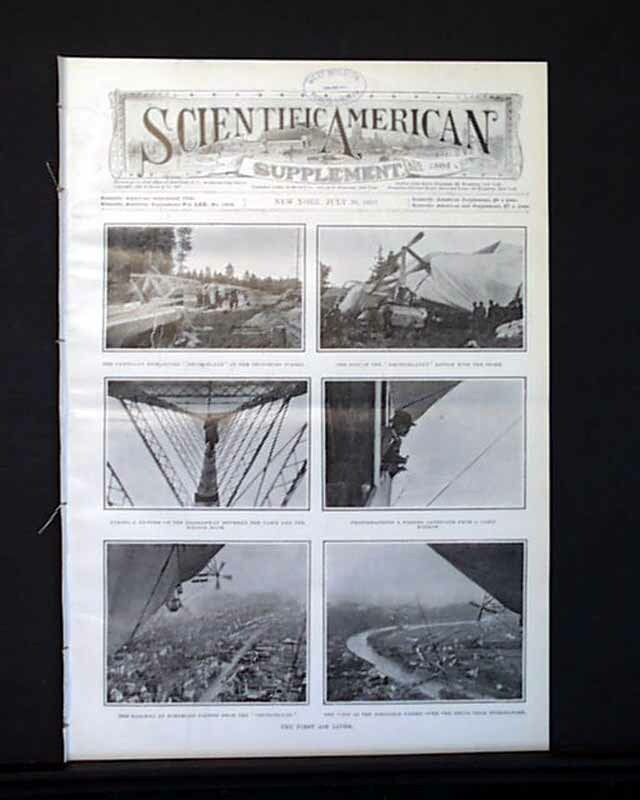 SCIENTIFIC AMERICAN SUPPLEMENT, New York, July 30, 1910 The front cover contains several photos of "The First Air Liner" with the inside article "The 'Deutschland' and it's Ill-fated Voyage" which contains additional photos. 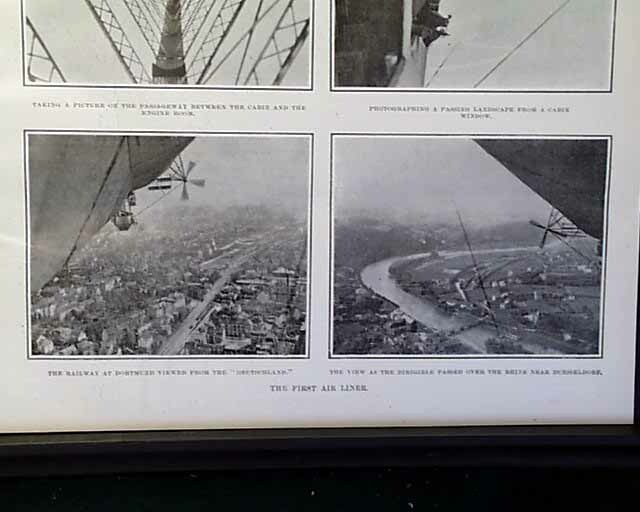 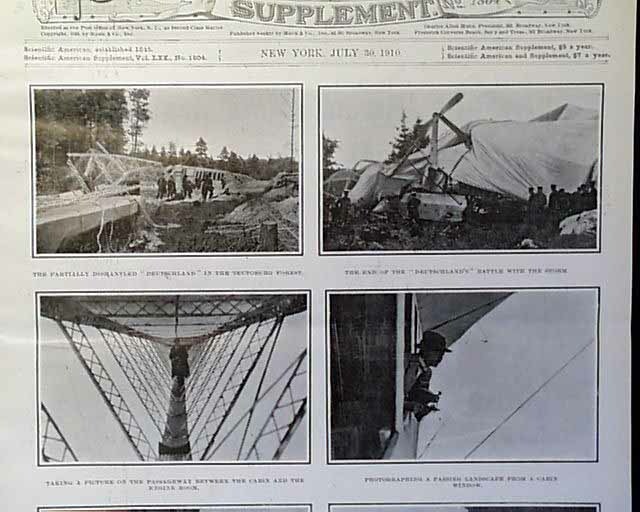 During the trip, the airship experienced some motor troubles while also hitting into strong winds and evidently crashed into a forest, landing on tree tops which prevented any loss of lives. 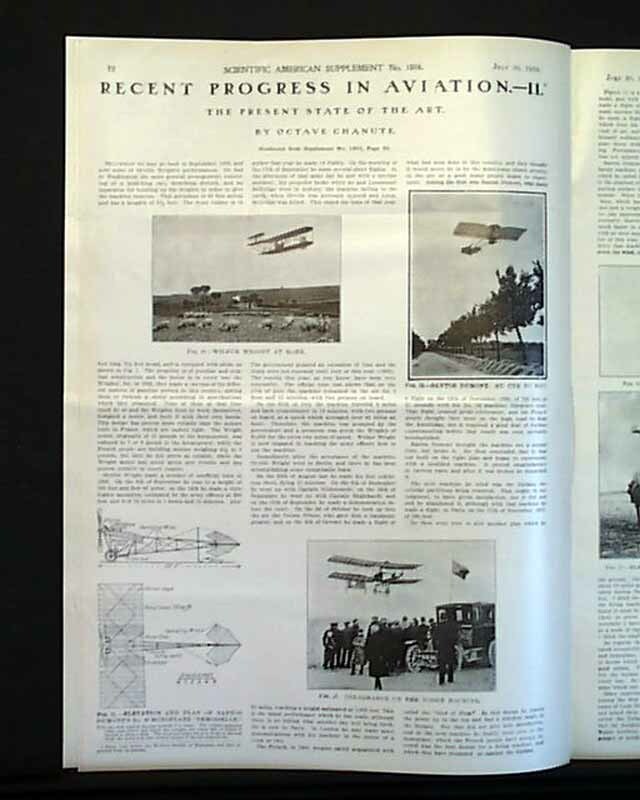 Also in this issue is "Recent progress in Aviation - II - The Present State of the Art". 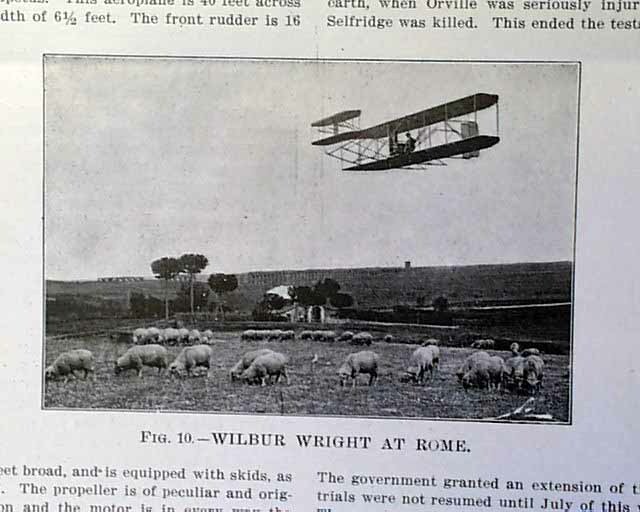 This contains several plane illustrations by Wilbur Wright; Santos Dumont; Delagrange on the Voisin Machine; Bleriot; and Farman. 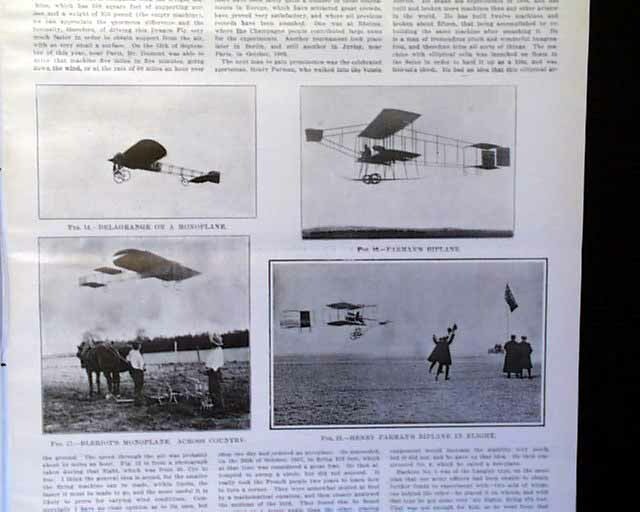 These include both bi and mono planes. 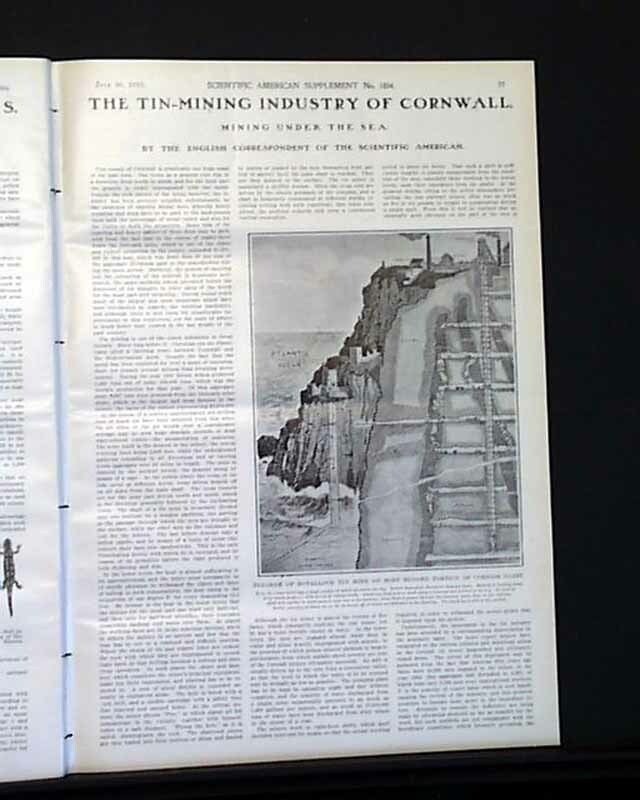 Additional articles and illustrations are included. 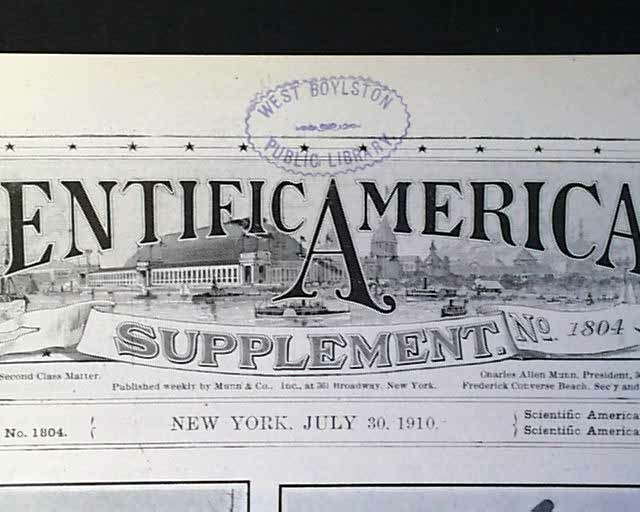 This is complete in 16 pages with a small library ink stamp in the masthead area, otherwise is in very nice condition.